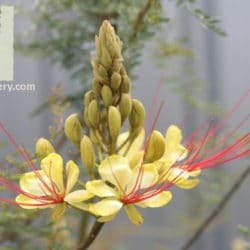 Yellow bird of paradise is a somewhat confusing common name for this plant because its flowers are actually yellow with prominent, bright red stamens emerging from their centers. 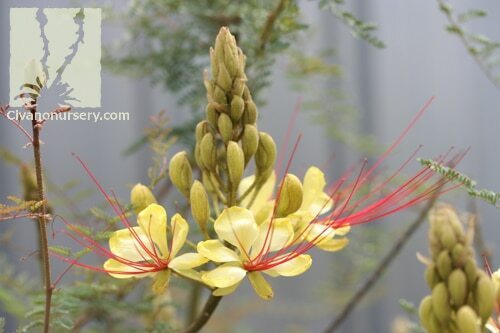 The nectar produced by these distinctive flowers is a hummingbird and butterfly favorite, so you can expect a long season of happy activity because blooms appear from spring through fall. 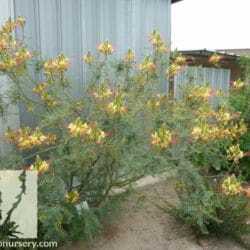 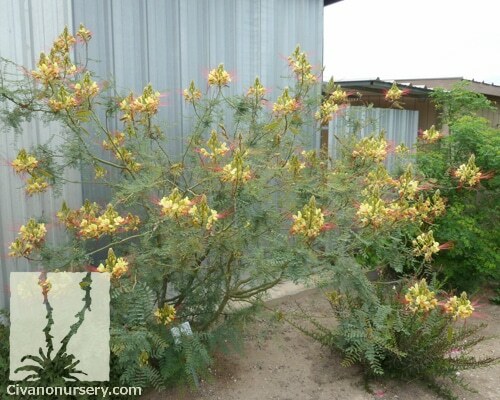 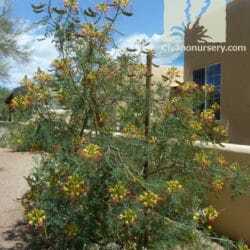 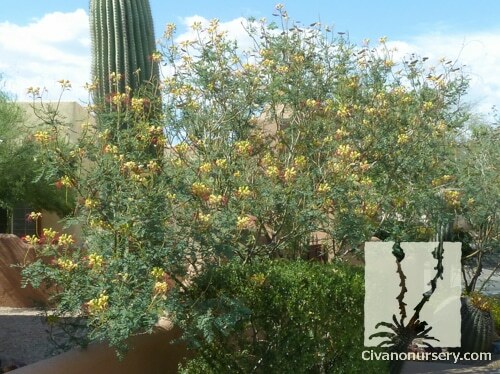 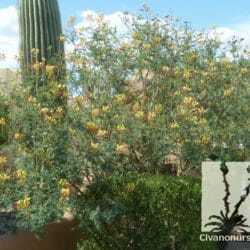 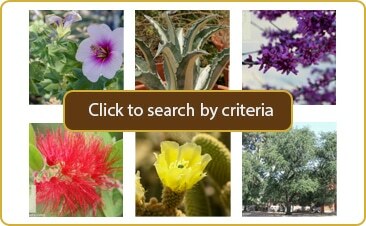 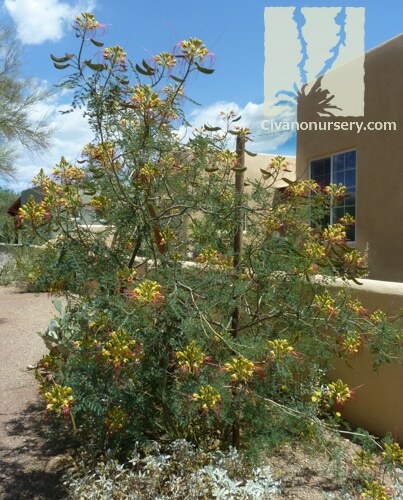 Although wild specimens of this drought tolerant shrub can be found across the arid southwestern U.S. and Mexico, it originally came from Argentina. 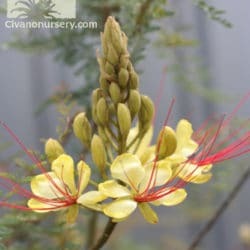 Yellow bird of paradise has fern-like foliage and an airy, multi-branching habit that provides dappled shade to any plants growing beneath its open canopy. 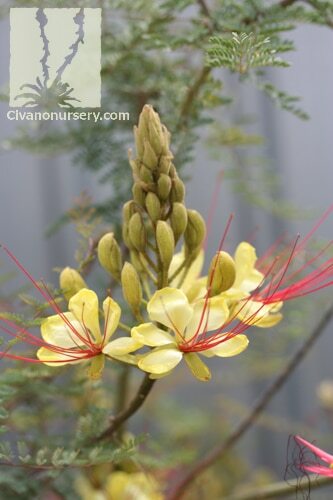 Easily grown as a shrub or trained into a small tree, this cold-hardy tropical soaks up reflected summer heat and sheds its leaves to take a short rest in winter.